Apart from Sudoku, there is a huge number of other great logic puzzles. New types get invented all over the world – with „Rooftops“, „Low Sums“ and „High Sums“, TPPD finally joins in the scene. 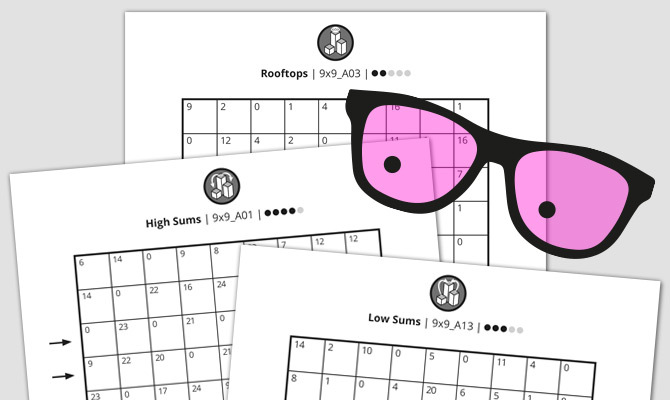 „Low Sums“ was developed in cooperation with Christian Halberstadt, chairman of Logic Masters Germany and co-organizer of the German Sudoku Championships.